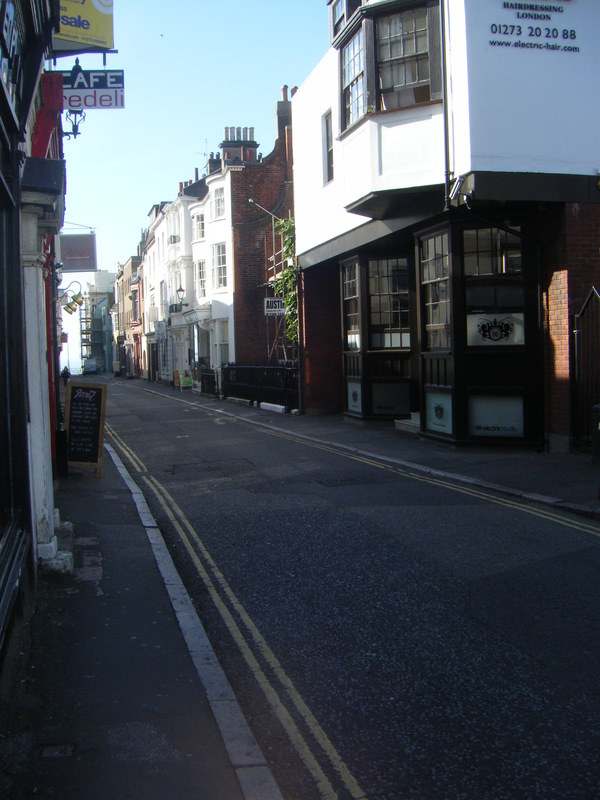 Here are some photographs taken in Ship Street and of the seafront at Brighton. 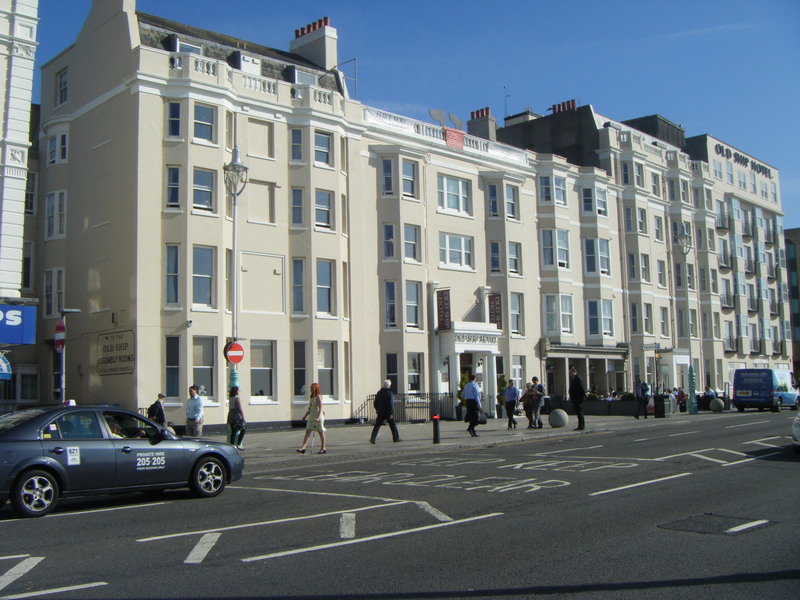 The Old Ship Hotel is where John Dinnis lived and worked as a Cook and Publican, with his wife Charlotte Robinson and children Catherine Ann, John Henry, Fanny, Harry, Charlotte Harriet, George and Cora. As we already know, Cora died at the Old Ship in 1856, aged 3 years. 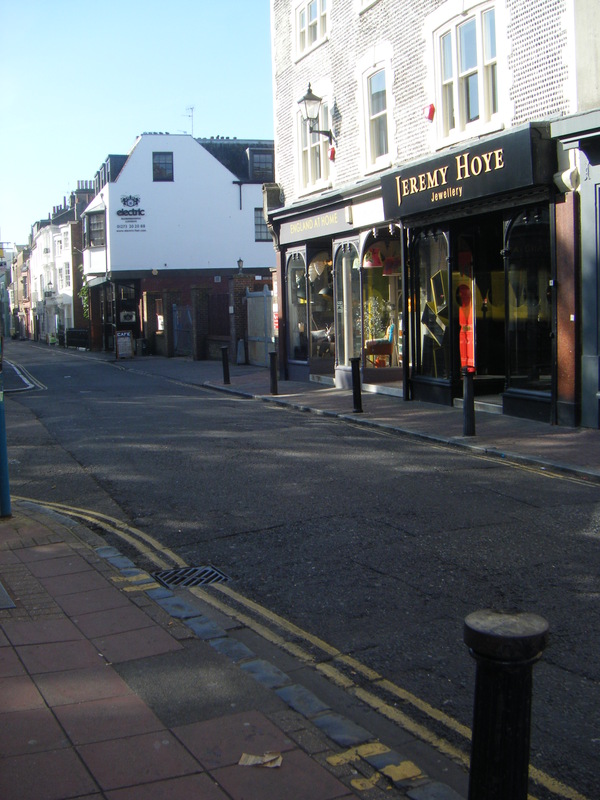 Looking down Ship Street, towards the sea. 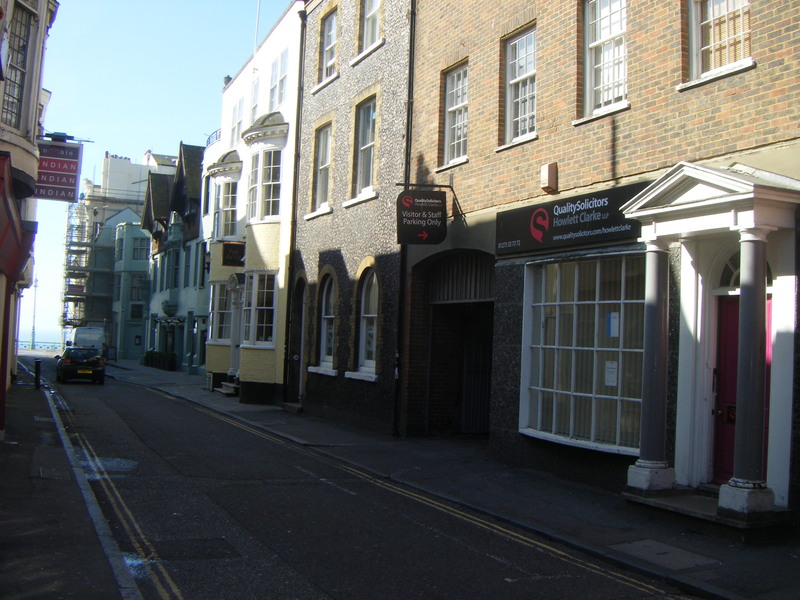 Continuing southwards down Ship Street. 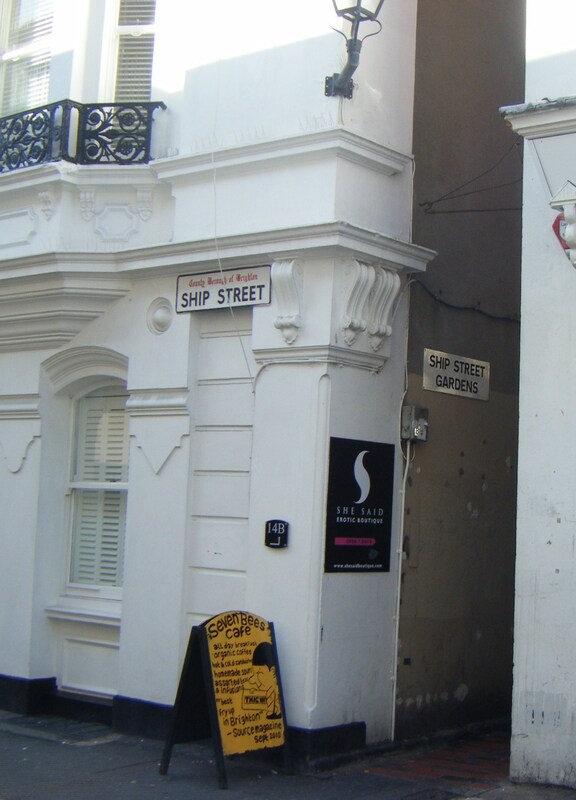 Tiny passageway leading to Ship Street Gardens. 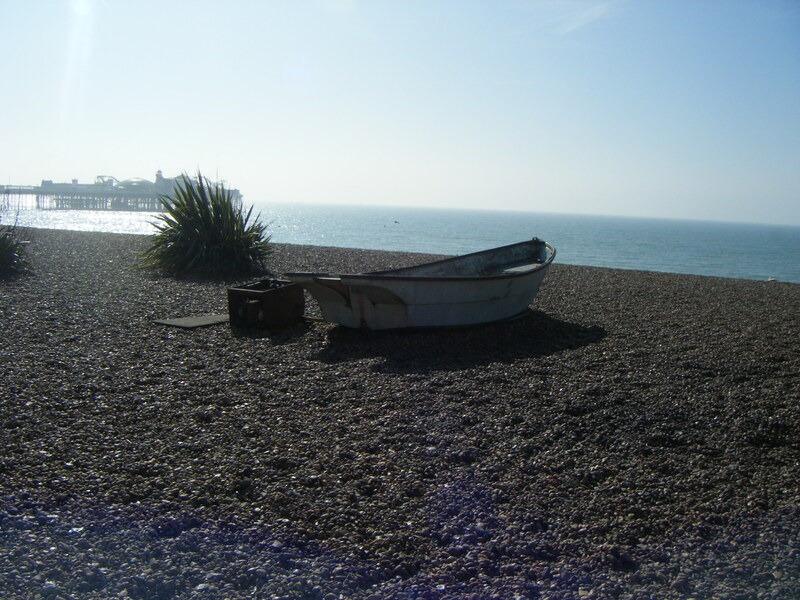 Almost at the seaside, loving the salty smell of the sea. 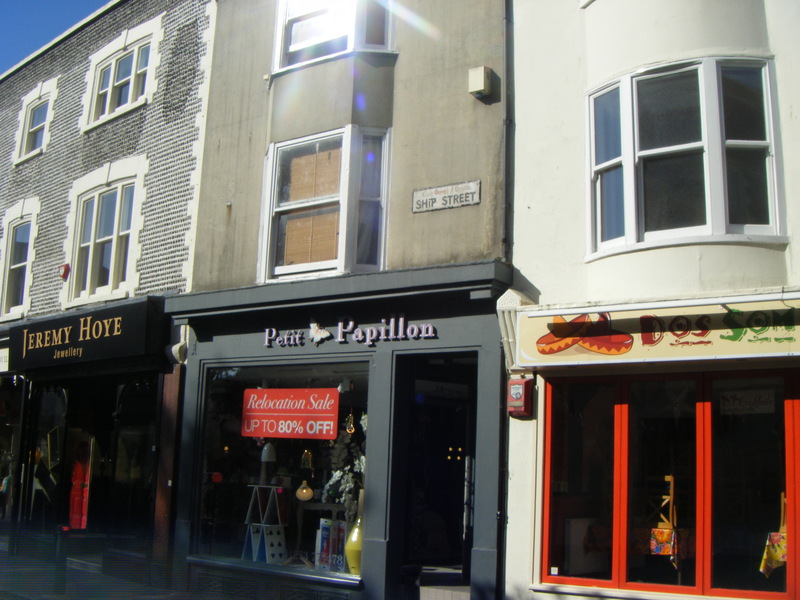 On the wall of one corner of Ship Street, the Old Ship within touching distance! Standing on the same spot, facing the other direction. 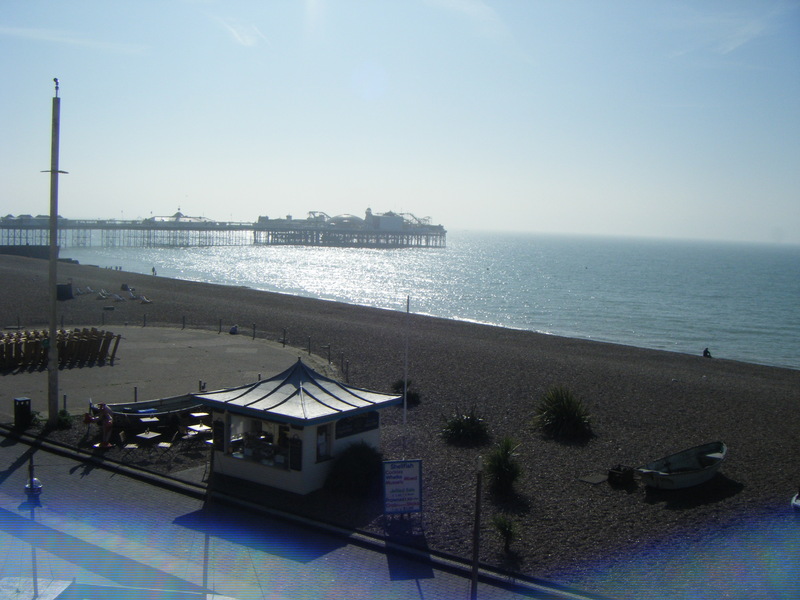 The Palace pier and Brighton seafront. 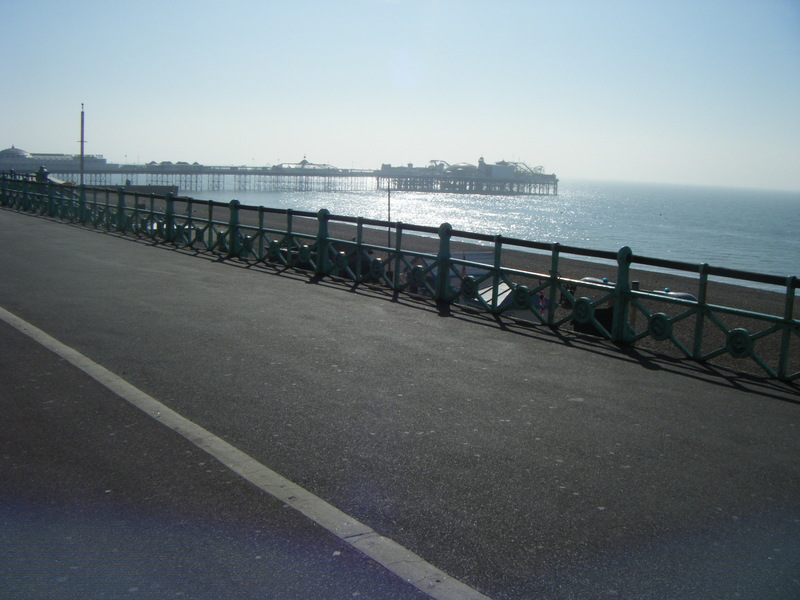 The Palace pier, view from the promenade. 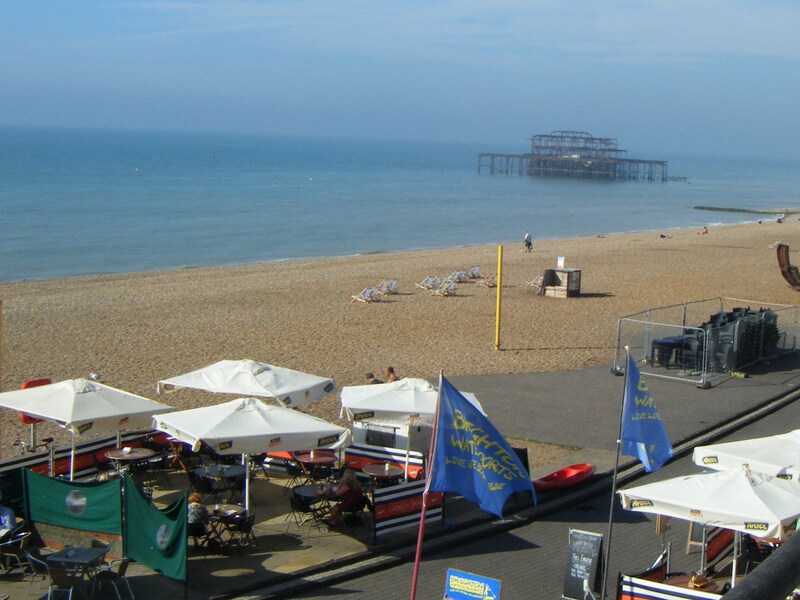 Turning to the right – this is all that is left of Brighton’s West pier. On ground level now. The Palace pier in the background. 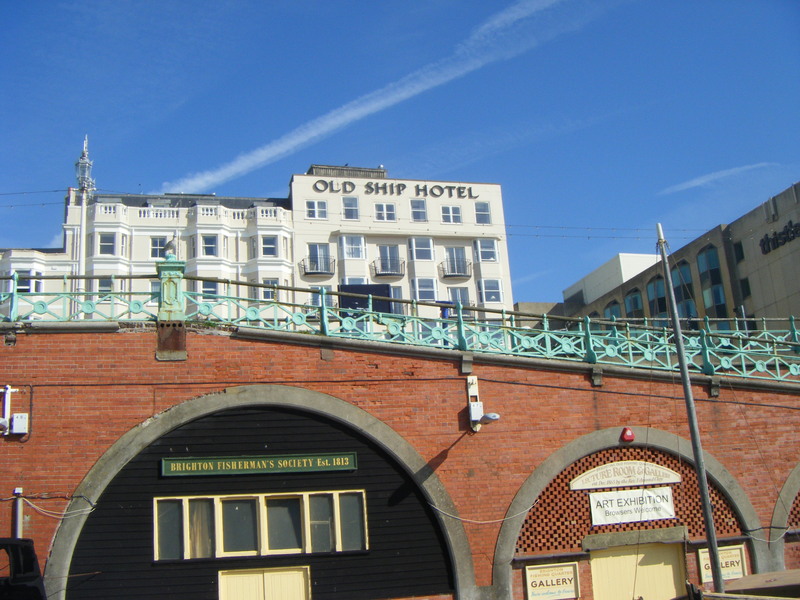 The Old Ship Hotel seen from Brighton beach. 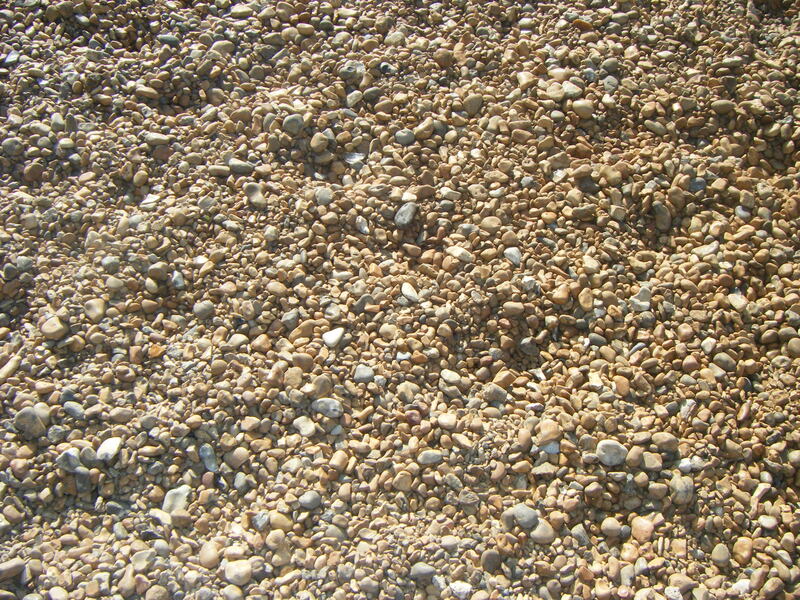 The pebbly wonderfulness that is Brighton beach. 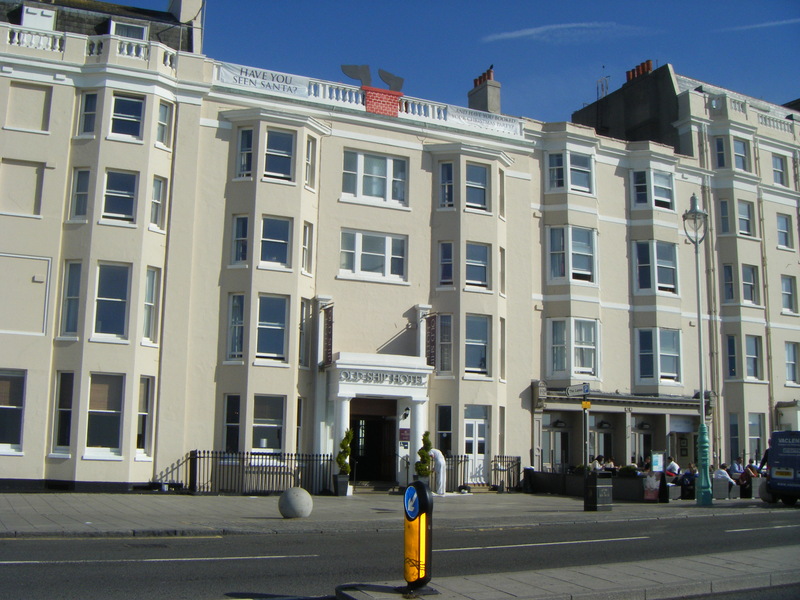 This entry was posted in Catherine Ann Dinnis, Charlotte Harriet Dinnis, Charlotte Robinson, Cora Dinnis, DINNIS, Fanny Dinnis, George Dinnis, Harry Dinnis, John Dinnis, John Henry Dinnis and tagged Brighton, Brighton beach, Old Ship Shades, Ship Street, The Old Ship Hotel. Bookmark the permalink. I worked in the Old Ship as a holiday job when I was a student. The ‘back stairs’ areas were truely fascinating. 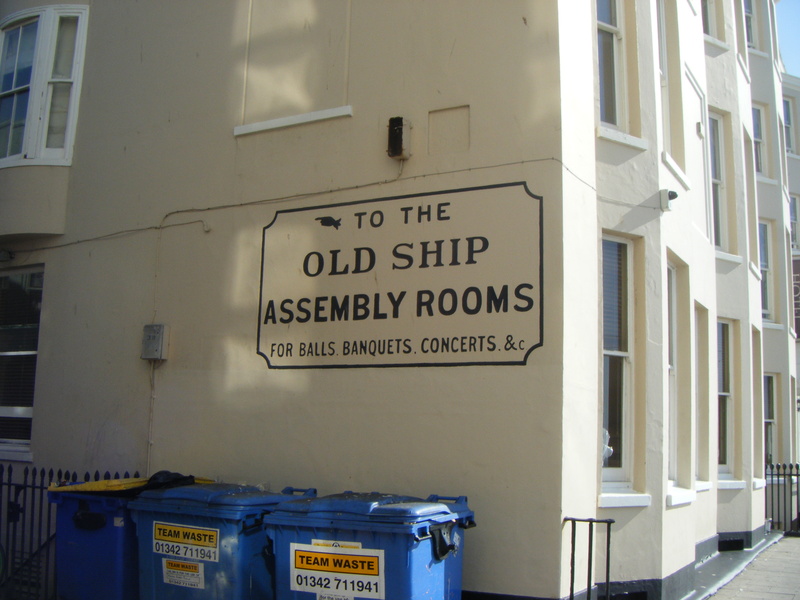 Sadly the Old Ship resturants are an american burger bars and concessions now. Oh that makes me feel old!! Oh I would love to hear more about the ‘back stairs’ area! There are tours of the Old Ship, I plan to go on one at the start of November, I am so looking forward to it. It has such a lot of history!